I know what you are thinking, she works from home, why is she talking about office wear? Well, to add to our craziness, I recently took a new position with the same company which will require me to be a little bit more client facing in person. So I'm back to beefing up my work wardrobe. Regardless of my motives, I would have contrived ANY excuse to add this beauty to my repertoire - tweed, yes please! Sparkles - double check! Basically a match made in heaven. I'm looking forward to pairing it with all sorts of colors too - like this or this or this or this. 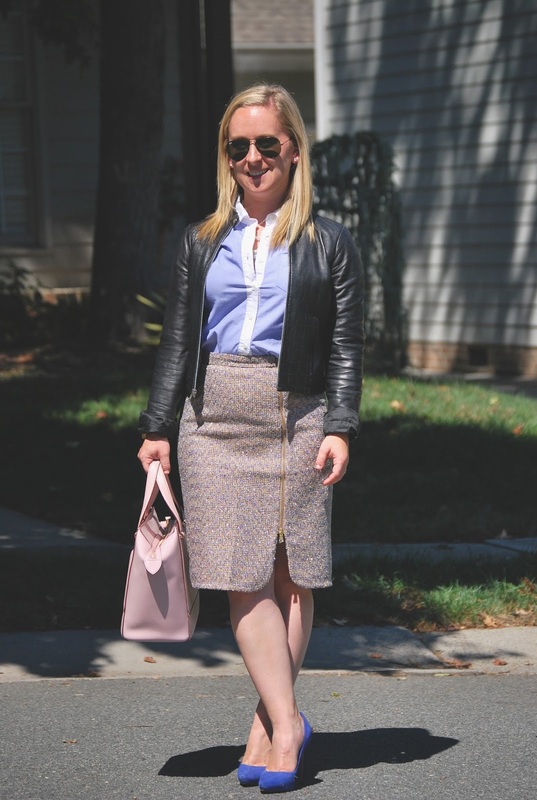 I love this wear to work look. Your bag and skirt are amazing.